We are committed to keeping as much waste out of the landfill as possible. Please help us by following these easy guidelines. Recyclables should be placed loose in your recycling cart. 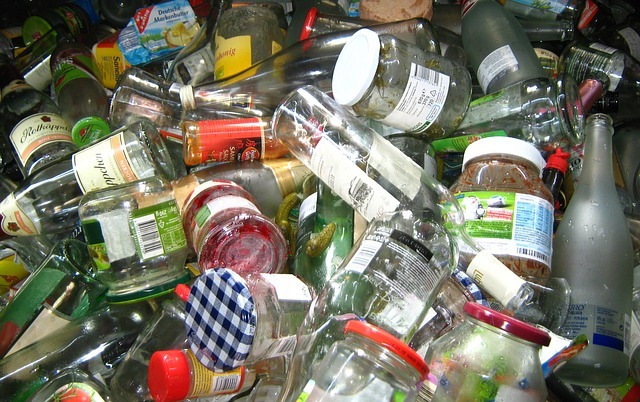 Recyclables should be empty and rinsed clean of any food residue. Print a copy of our recycling guidelines here. Collect clean recyclable materials listed in the approved list above. Place the materials loose (not bagged) in your recycling container and set out your container the night before your scheduled pick up. No! Thanks to the state-of-the-art equipment at TC Recycling, we are able to provide single-stream (or no-sort) recycling. Simply place it all in one container and we will sort it at our facility. Do I have to clean my recyclables? Any recyclables with food waste should be rinsed before placing in your recycling cart. Materials with food contaminants, such as grease or melted cheese, are not recyclable and should be placed in your trash cart. Wet cardboard and paper materials are not recyclable and will not be collected. Place in the trash the following week. We recommend a 95-gallon cart or other container with a lid to keep your recyclable materials dry. Can I mix non-recyclable materials? Recyclables that are bagged or mixed with other contaminants will not be collected. Place in trash the following week. Please see the guidelines above. Why can't I use bags? Plastic bags of any kind are not accepted because they make it very difficult to sort and process your recyclable materials. Plastic bags also get tangled in our equipment, causing the entire facility to be shut down in order to cut them free from the machinery. This reduces our efficiency and endangers our workers. As such, we will not pick up any recyclables in plastic bags. How do we decide what can and cannot be recycled? The types of material we can collect depend on our ability to process them. If we don't accept a certain material, it's because our equipment cannot process it, it's dangerous to our staff and/or our machinery, or there is not a reasonable end destination for the processed materials. Watch the following video to learn more about our investment into recycling and how our sister company, TC Recycling, processes your materials.